A restaurant at Disney's BoardWalk nestled between the AbracadaBar lounge and the Ample Hills Ice Cream shop. The restaurant showcases classic Italian cuisine including handcrafted mozzarella made daily, fresh cavatelli pasta and pizzas baked in wood-burning ovens. 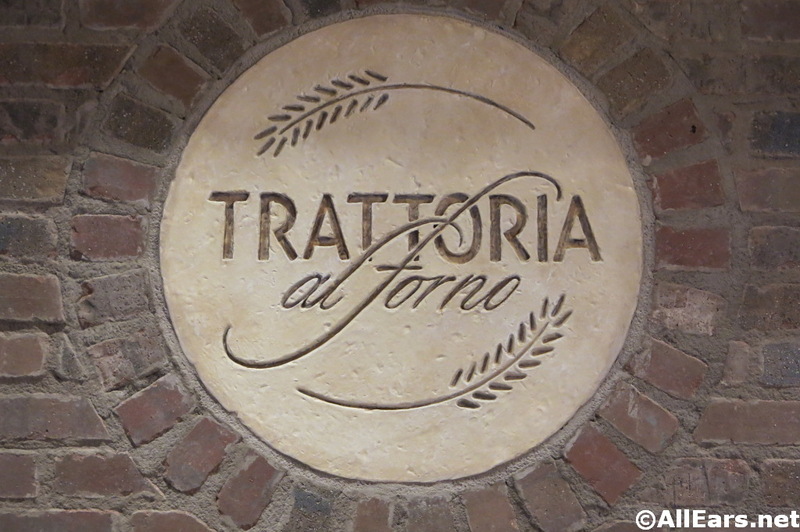 Trattoria al Forno is open daily for a character breakfast (7:30-11 a.m.) and regular dinner (5-10 p.m.). It opened December 18, 2014.